Flagship VR title earns big bucks. VR title Job Simulator has proven quite successful for developer Owlchemy. The studio revealed that it earned $3 million in sales thus far. 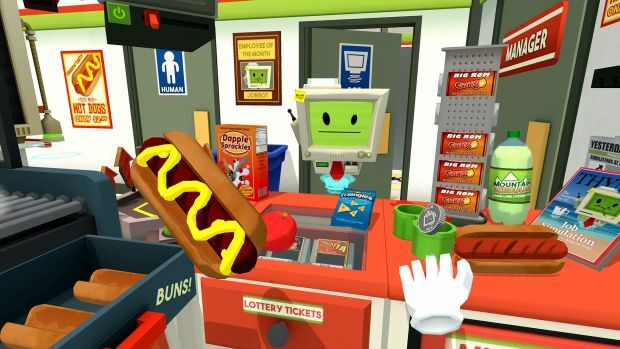 CEO Alex Schwartz stated that, “I think a huge part of Job Simulator’s success comes from how fun it is to just watch someone play around and be silly in VR. “Tons of people have seen their favorite YouTuber play around in the physics sandbox that is our game, and that’s great for showing everyone how interactive and magical VR can be. Job Simulator is set in the future where robots have replaced all jobs run by humans. Players visit a job museum and take part in “past” jobs which are parodies of real world professions. Released for HTC Vive, Oculus Rift and PlayStation VR, Job Simulator has garnered a fairly good amount of critical praise as well since launch.